After completing the dissertation, “Coming of Age: Hollis B. Frissell and the Emergence of Hampton Institute, 1893-1917,” I began research for Stolen Childhood: Slave Children and Youth in the Nineteenth Century-America (1995). I am pleased with publishing the first monograph on the subject, but I remain embarrassed at never enrolling in a black history course. Rather than a lack of interest, no such courses were offered while I was a student. The reality of the matter shaped my research agenda toward filling interstices in my own education and American history by creating a body of work focusing on women and children of African descent. Among the most tangible evidence of that goal is Stolen Childhood. Its primary objective is to “extricate enslave children and youth from the amorphous mass of bondservants” by placing them in the foreground to answer questions about their lives in the nineteenth-century South. The research for Stolen Childhood introduced me to a cache of letters from a Massachusetts-born tutor who married a slaveholding medical doctor in Louisiana. Selected missives published as A Northern Woman in the Plantation South: The Letters of Tryphenia Blanche Holder Fox (1993) provide primary documents to illuminate the lives of black women and children along with the professionals who owned them. The Fox letters forced me to rethink slave ownership by gender, class, and locations. They diverted me into research about slavery and freedom in the antebellum North. Such a diversion resulted in The Essence of Liberty: Free Black Women in the Slave Era (2006), the first monograph published in the United States about free and freedwomen before 1865. It is an examination of free black women, without regional, class, and age distinctions, as they earned a living, contributed to their communities, and struggled to maintain their freedom. The lives of women as portrayed in The Essence of Liberty and the lives of children as seen in Stolen Childhood were intertwined to the extent that studying one led to studying the other. That realization led to a second edition of Stolen Childhood (2011) which contains many changes related to geography and chronology. The second edition begins with children in the transatlantic trade and moves away from the notion of slavery as a southern plantation phenomenon with ownership by white men. To be sure, slavery existed more steadfastly in the rural South but its existence in northern households, urban businesses, and other commercial ventures could not be ignored. 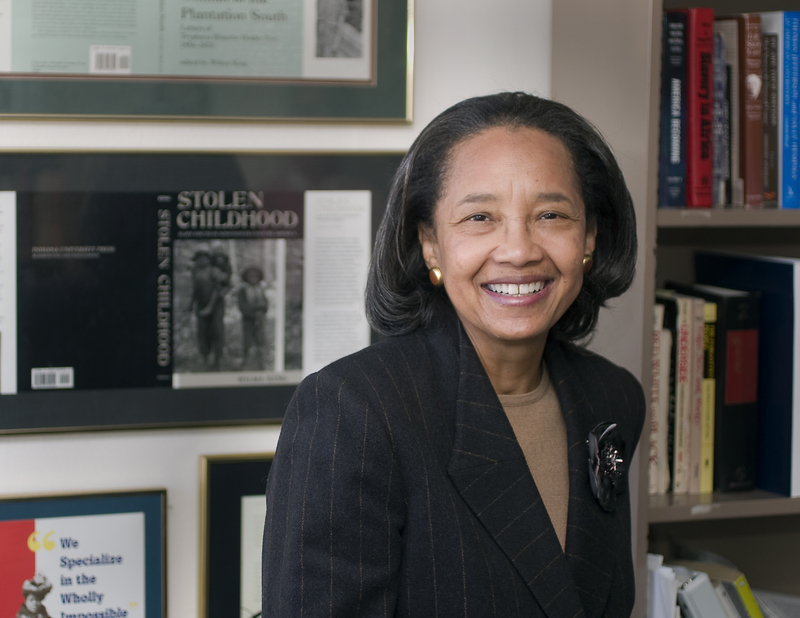 I have devoted much of my professional career toward advancing scholarship about women and children of African descent in the nineteenth century. While this is true, I have not forgotten my goal of filling interstices about black women in the United States. It is my intent to publish a study of the presidency of William Jefferson Clinton and African American women. Much of this work has been completed but facets have been delayed due to unprocessed collections at the Clinton Library. Once processed, I will return to Little Rock to complete research needed to eradicate the void about black women as politicians, policy makers, and public servants today.